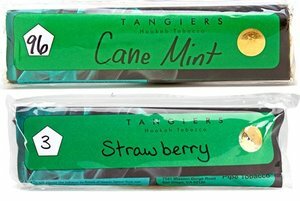 Tangiers Shisha is flavored tobacco for the sophisticated shisha smoker. Only hookah veterans should browse the intense flavors of Tangiers Shisha at SouthSmoke.com! Tangiers is made using time-tested methods from the Middle East. Although made in the USA, this attention to tradition provides you with one-of-a-kind shisha tobacco. No other premium hookah brand offers you a strong, flavorful smoke for such a reasonable price. Check out our extensive selection of flavors! Tangiers Shisha offers you a smoke unlike any other. 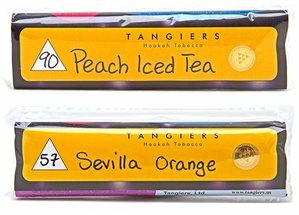 Tangiers uses a mix of raw full-bodied cut US tobacco leaves and with no artificial coloring added. This gets you a smooth smoke with big, fluffy smoke clouds and robust flavors. You simply can't get this kind of smoke experience from any other brand. Tangiers Shisha is produced in three major lines, Noir (original), Burley, and Birquq, Tangiers Noir is the original line that offers this unwashed tobacco packed with a strong buzz. Tangiers Birquq is a sweeter lighter leaf tobacco that is lighter on heat management. 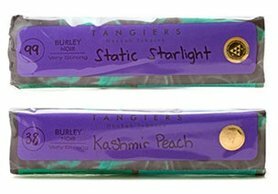 Tangiers Burley uses more burley tobacco for the strongest buzz and is meant only for experienced Tangiers smokers. We sell this premium shisha solely in 250g size pouches to get you the most for your money. Good for about 10 to 15 smoke sessions, they're sure to be some of the best you've ever had! Make sure you keep enough in stock for several hookah parties. The last thing you would want is to run out when the hookah's getting good! Tangiers is known for creating some of the most authentic tastes in the industry. 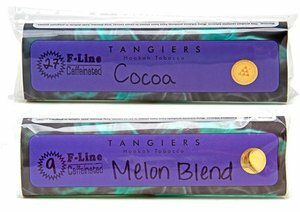 Browse the full list of Tangiers flavors, available for your smoking pleasure. There's a taste for every discerning palate. From the sharp yet refreshing Cane Mint to the doubly-good taste of Kashmir Peach, Tangiers shisha offers you the real deal. Flavors like Mimon, Its Like That One Breakfast Cereal, Brambleberry, and Tropical Revenge are just like biting into a juicy fruit. And their Kashmir Plum flavor tastes so authentic, you'll swear you were biting on the real thing! Robust, full, and authentic - all of these describe Tangiers shisha. Get yours today and see why Tangiers is taking the hookah world by storm! SouthSmoke.com is proud to offer the complete series of Tangiers Shisha flavors for your enjoyment. As always, you can rely on SouthSmoke.com to supply you with all your Tangiers needs. So go ahead and dive into the selection of shisha flavors. Join the Tangiers flavor craze today!